enchant my children with charming characters, but stories that have the ability to teach valuable lessons. 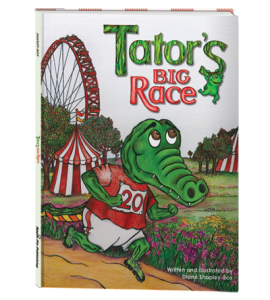 Diane Shapley Box’s books Apples for Fred, and Tator’s Big Race do just that. She combines beautiful illustrations with heart-warming tales of teamwork, perseverance, friendship, problem-solving, and the importance of believing in yourself. In her books, you’ll meet delightful characters such as Fred, Tator, Perdie, and Cabbit. 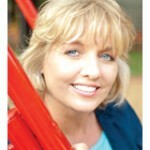 Apple Pie Publishing, LLC, is committed to producing high-quality American made books and products. All products are produced in the USA and use lead-free ink and paper. Apple Pie Publishing, LLC is active in the community, donating not only time, but thousands of dollars for medical research and general fundraising. Apple Pie Publishing, LLC donates a portion of all profits to local and national charities. The company produces the charming Apple Bunch Book Series. Diane Shapley-Box graduated from the Art Institute of Dallas. She has worked as a concept designer and as a professional artist. Her work has been featured in books, magazines, and newspapers. 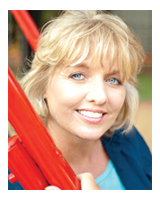 She is an award winning artist, and her books have received rave reviews from parents, teachers, and children. A true philanthropist, Diane and her publishing company, Apple Pie Publishing, LLC, not only donate 10% of all proceeds from the sale of Apples for Fred to the Crohn’s and Colitis Foundation of America, but sponsor a book drive for the USO. Head on over to her website Apple Pie Publishing and find out how you can contribute to this phenomenal cause. I would pick Apples for Fred. I would pick Apples for Fred since it’s the first book in the series. Thanks! I’ve never heard of these books! Guess I’ve been out of teaching too long =) I’m excited to read them now though. Probably should start with the first one, Apples for Fred. No? =)Great idea for a give away!! The whole family always enjoys a good book. My son would just love Tator’s Big Race . I would want Tator’s Big Race. My grand daughter’s name is Taylor, but we call her Tator. 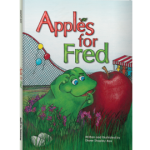 I would love the Apples for Fred book. I am a twitter follower. I liked you on FB. These Apple Pie books are cute. 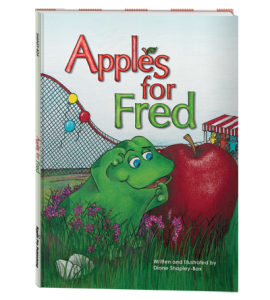 I really like the Apples For Fred book. Cute! I just like you, you’re my favorite niece named Bekki! I think I had already had liked your blog. I like Tator’s Big Race! I would love to win either book! Thanks for the chance to win! I would choose Apples for Fred. Thanks for having such a great giveaway! I think my grandson would like Apples for Fred. Thank you! I would like Tator’s Big Race for my son. I have to go with Tator’s Big Race. Thank you for the giveaway.. books are the “Apple” of life! I would pick Tator’s Big Race. I “liked” you! Would love to read this book to my boys! I would like to have Apples for Fred for my youngest granddaughter who’s almost 2. Thanks! My granddaughter would really enjoy Tator’s Big Race. I like Tator’s Big race. Thanks for this wonderful opportunity….we’ve liked on FB, Tweeted, newsletter subscriber, & RSS Feed!!!! Yeah!!! 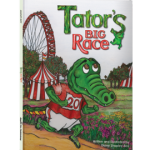 I would like to win Tator’s Big Race.